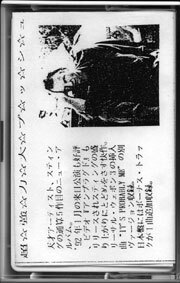 There is different issue with different back OBI. 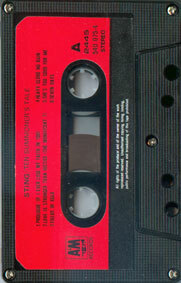 Comes with OBI and inserts. 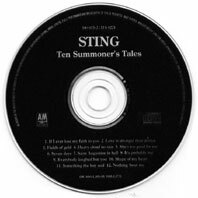 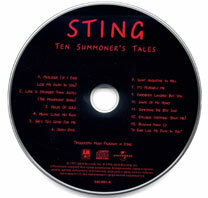 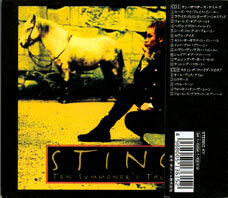 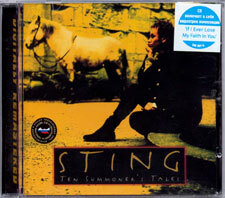 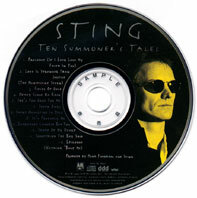 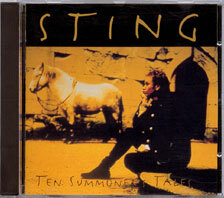 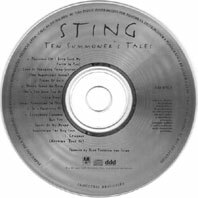 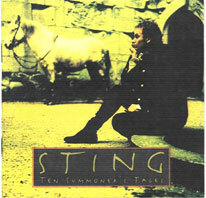 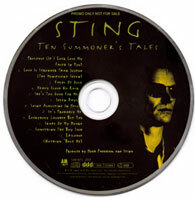 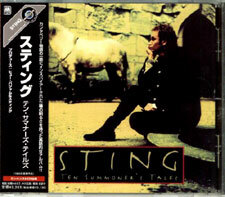 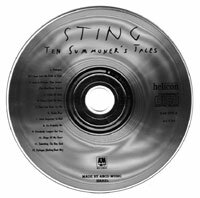 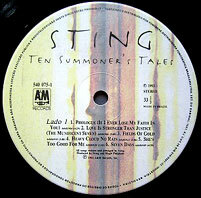 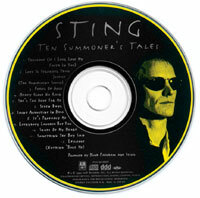 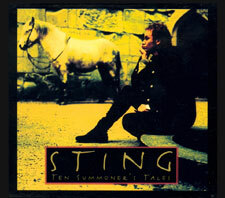 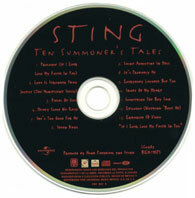 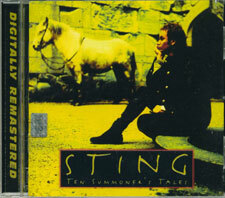 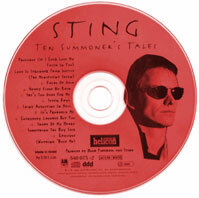 The design of the ten summoner's tales disc is slightly different, as there is yellow circle around. 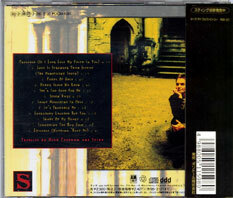 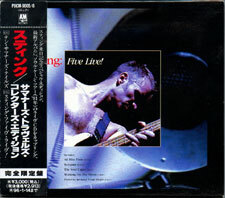 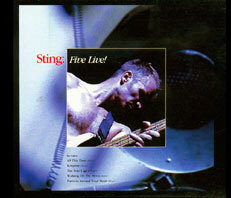 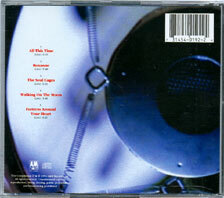 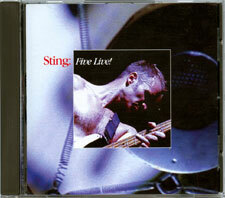 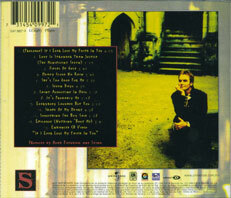 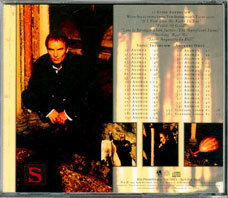 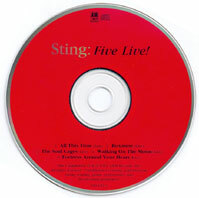 The 1998 reissue features the balck/red disc design. 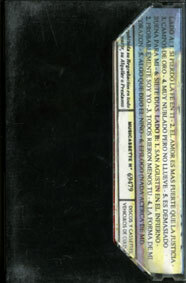 2003 reissue with back OBI. 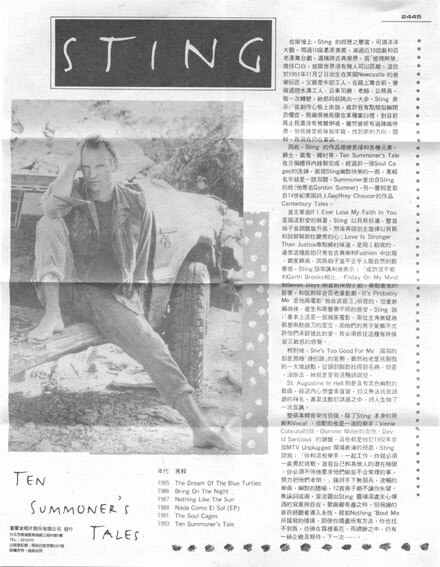 The Australian issue has a special spine to close it complately. 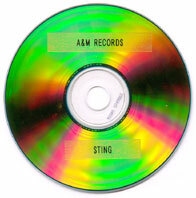 This set is in fact the Australia usual issue but with a double tray and the second disc is the Australian Demolition man CD single (wich states 3 tracks but play 6). 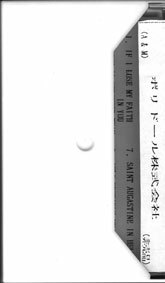 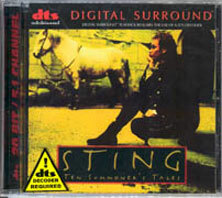 If this item appears today on ebay we can have doubt about its autenticity, but as I buy it back in 1994 and the CDr was not easy to made at this time, I am sure is a original mastering CDr! 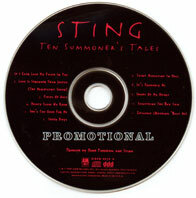 USA have issued a special promotional CD. 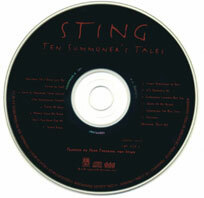 It is called " Ten summoner's tales interview disc " and comes with a different sleeve to the commercial issue. 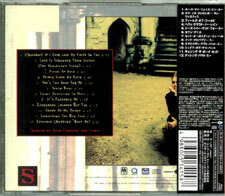 The back sleeve is very different too. 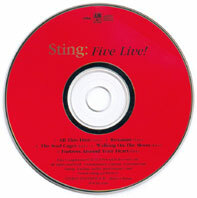 It contains one "official interview" which was diffused on the radio, 34 answers and 2 station liners. 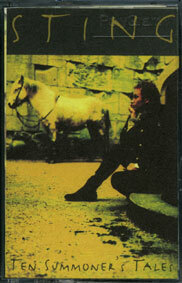 The questions are in the booklet. 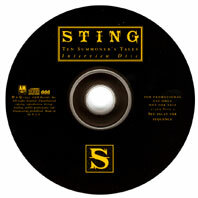 The disc is black with yellow writing. 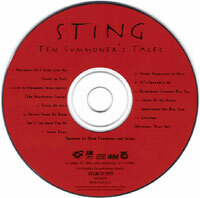 Stock copy issue with "promotional" in white on disc. 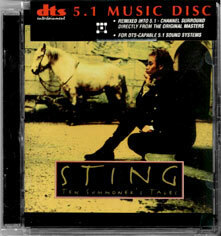 DTS issue in usual CD Jewel case. 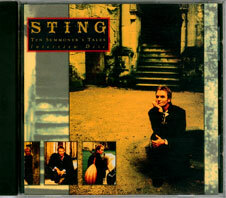 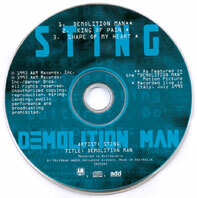 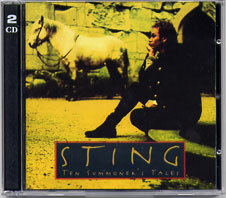 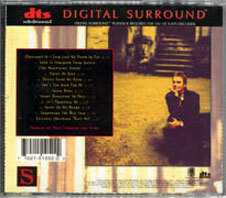 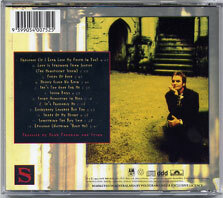 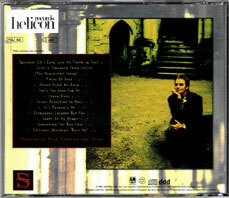 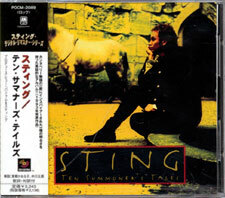 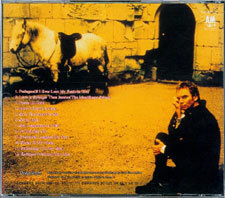 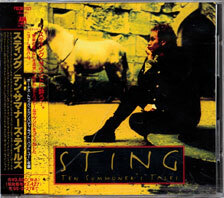 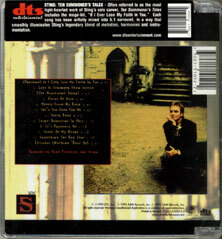 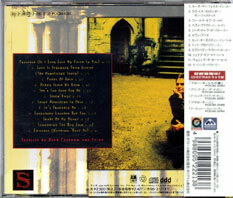 Second DTS issue in special CD Jewel case. 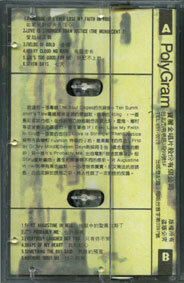 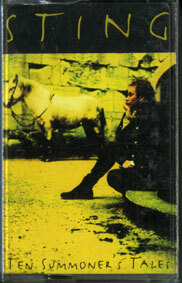 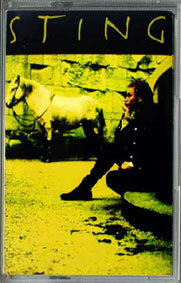 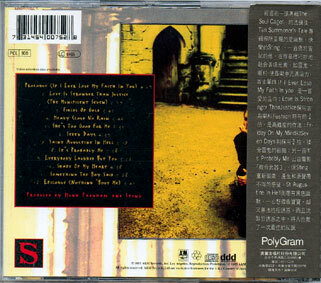 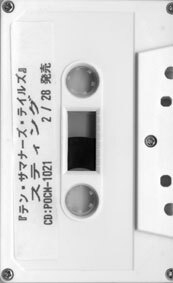 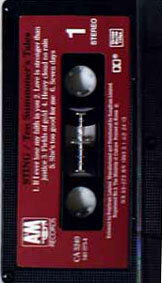 This UK promo cassette comes with a specail design sleeve and contains snippets of all the tracks from the album. 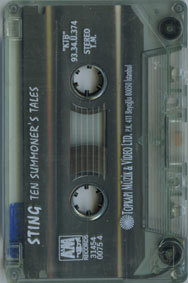 This German promo MC is an info MC. 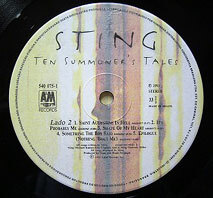 This promo MC contains 4 tracks from the album : If I ever lose my faith in you / Love is stronger than justice (the munificent seven) / Fields of gold & Nothing'bout me. 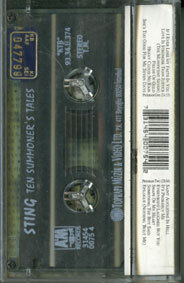 This pre-realse promo MC contains the same tracks as above. 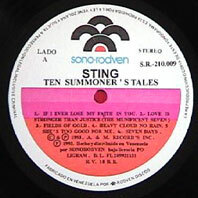 The Brazil LP has a special picture label. 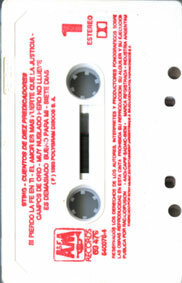 The Venezuela LP has a special label. 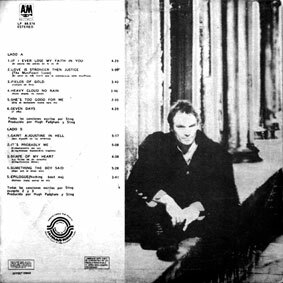 Different sleeve and back sleeve... rare.